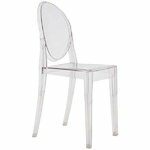 Designed by Philippe Starck in 2005, the Victoria Ghost chair is a more linear version of the popular Louis Ghost chair. Without armrests the chair is also lighter. 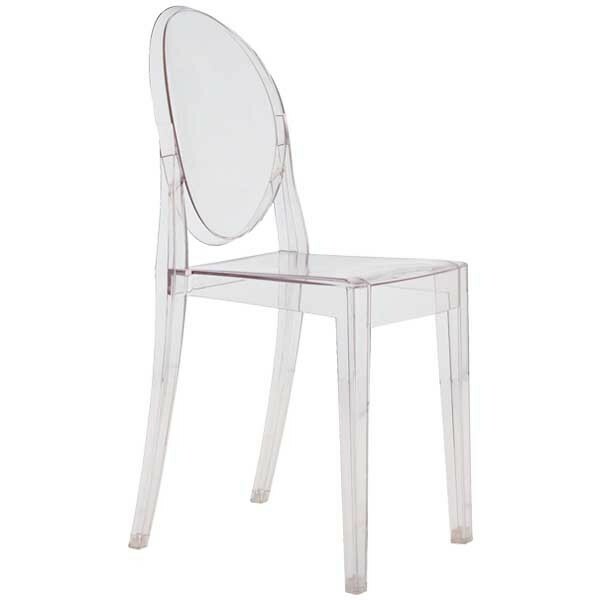 The chair is transparent but stable, durable and comfortable. Victoria Ghost is stackable and suitable for outdoor use.